Majorca is too pretty to only go there for a simple beach holiday. 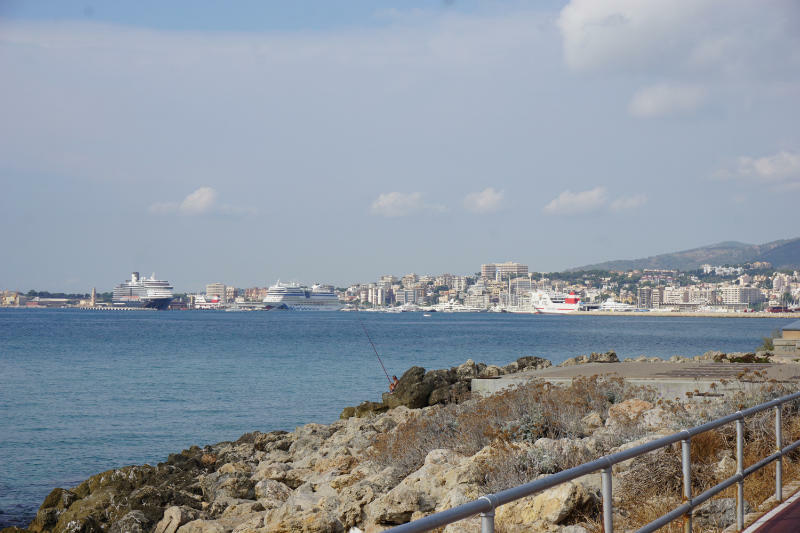 We took a hire car and ventured to Palma to get to see a little more of the island. 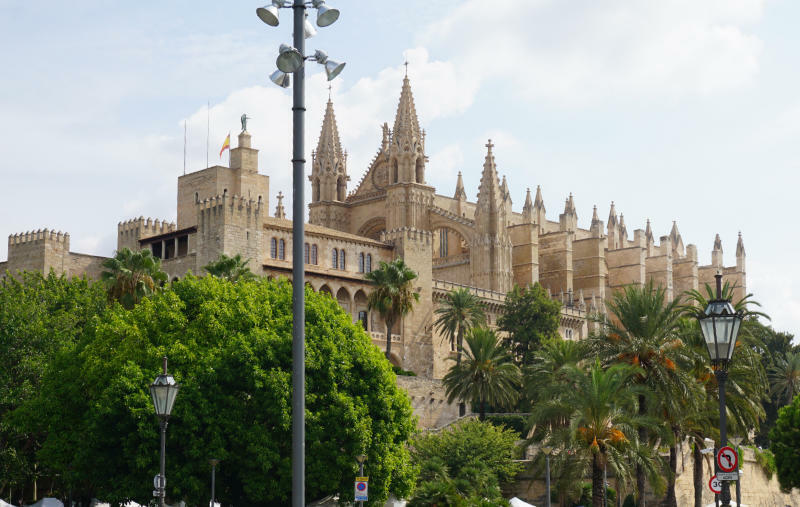 Palma is the capital city of Majorca and the seat of the government of the Balearic Islands. It is where the biggest port is located as well as the most important airport. Palma is the touristic magnet of Majorca. About half a million people live here, that is half of the population of Majorca. 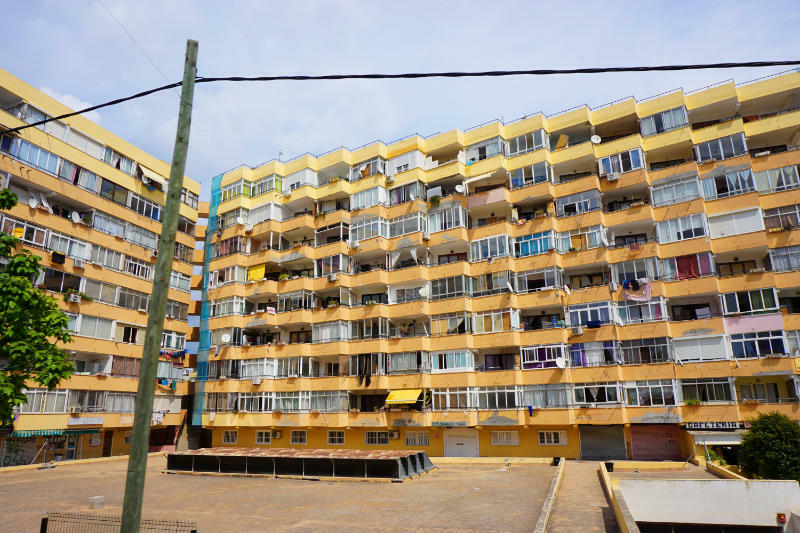 The name of the city was changed in 2008 from Palma de Mallorca to Palma. 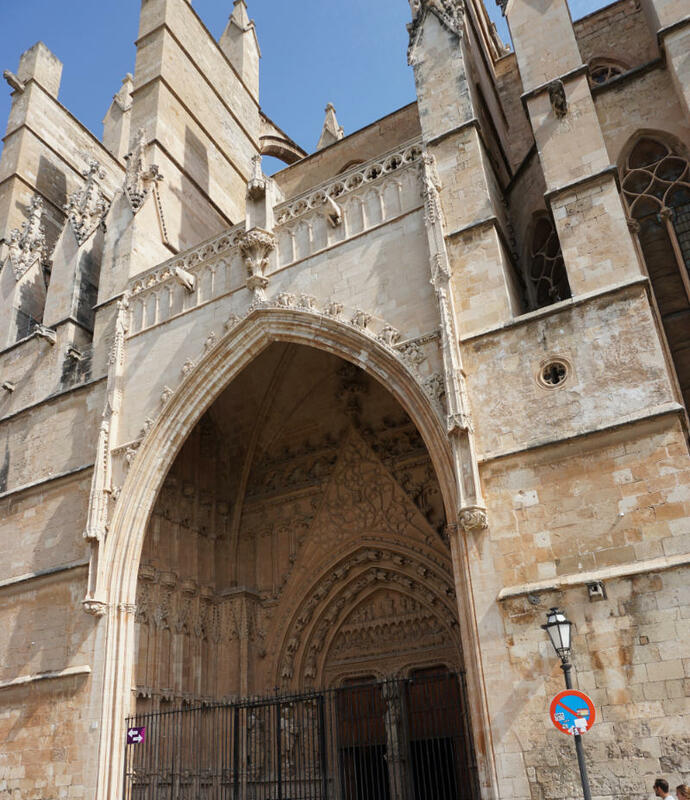 The city centre is characterised by a historic old town that is also home to the stunning Cathedral La Seu. Palma is located on the west side of the island right on the bay of Palma. The city center is characterized by the historic old town in which also the beautiful cathedral La Seu is located. Looking for a car park outside of the inner city is a good idea for those who are arriving by car. Multi-story car parks are available and charge accurate prices by the minute. We got lucky and found an empty parking spot in a little street next to a school (apparently no school on Saturdays) where we parked our hire car. From there, we walked along the sea and then turned into the many winding old town alleys. Our goal was to visit the cathedral. The locals call the Holy Mary Cathedral simply La Seu. That is Catalan and translates to “The Bishop’s See” which underlines the importance of the church. Construction started in 1306 with the main aspis, the rest of church, 190 metres long and 33 metres wide, followed. The main portal was consecrated 300 years later. The façade was completed much later, at the beginning of the 20th century. The round stained-glass-window, measuring 97 m² is remarkable. Unfortunately, it is hard to see the rosette in its full glory from the front of the church. The surrounding buildings are so close that it is hardly possible to get a good angle from a little further away. But you can still see the details of the wonderful portal. We were not able to see the church from inside due to a service that was taking place at the time of our visit. Instead, we walked back to the promenade and looked for a stop of the “Hop on Hop off Bus”. If only we had known that these buses stop at most normal and less noticeable bus stops (we were looking for the big flashy ones that we knew from Barcelona) we would have gotten on much earlier. But we walked all the way to the stop Palacio Episcopal at Pueblo Espanol. Pueblo Espanol is a reconstructed Spanish village with reconstructed houses, palaces, churches and forts from Spain. We got a first impression by peeking over the fence. The reconstructions looked a little like the Poble Espanyol in Barcelona. Since we had only just visited the latter, we decided to rather wait for the next bus. We finally got on a bus! 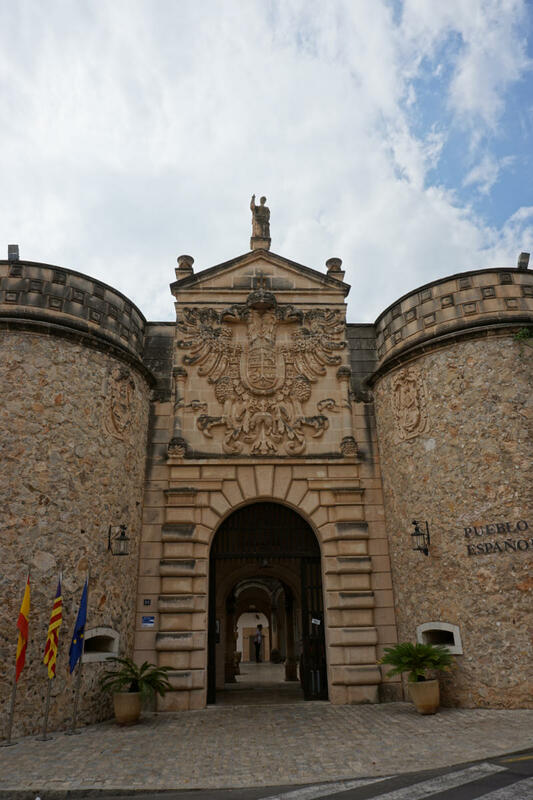 Our tour continued and we got to know Majorca’s capital a little better. We got off again at the next stop. 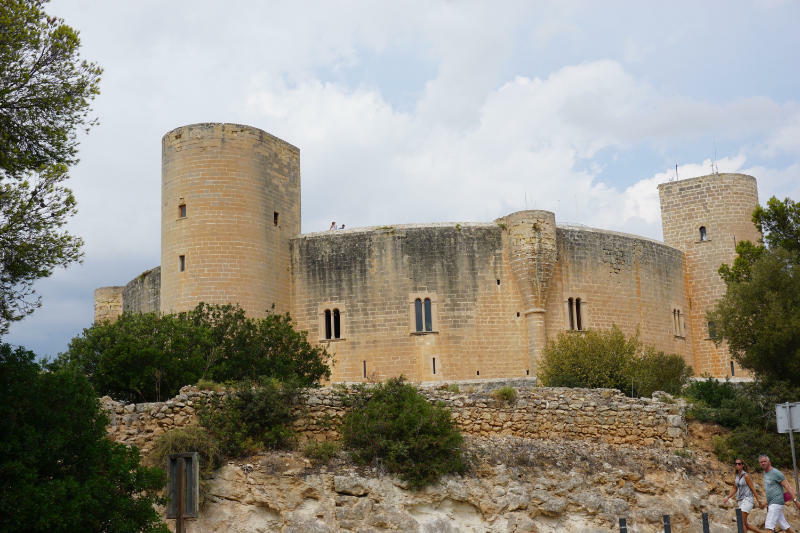 We had arrived at the Castell de Bellver. The view over the city from up here is fantastic. The Castell can be visited. We decided to give it a miss and continued the tour with the next bus. The tour took us back and forth through the city. That’s how we got to see the lovely Old Town and some of the not so lovely residential areas. After another stop, this time right at a big mall, we got to see the Port, the Rambla and some other interesting spots from the bus. We didn’t get off anywhere else since the sky got darker by the minute. We got off at a stop near our car. By then it was raining quite heavily and so we went back home a little wet and tired but very content.